Shortly after astronomers observe explosions on the surface of Mars, meteor-like objects begin crashing into Earth. Martians emerge from their craters in large tripods, wiping out army units with heat-rays as they roam the English countryside. When the order is given to evacuate London, all seems lost. But there is one minor detail that the Martians did not plan for. H. G. Wells is credited with the popularisation of time travel in 1895 with The Time Machine, introducing the idea of time being the "fourth dimension" a decade before the publication of Einstein's first Relativity papers. In 1896, he imagined a mad scientist creating human-like beings from animals in The Island of Doctor Moreau, which created a growing interest in animal welfare throughout Europe. In 1897 with The Invisible Man, Wells shows how a formula could render one invisible, recognizing that an invisible eye would not be able to focus, thus rendering the invisible man blind. 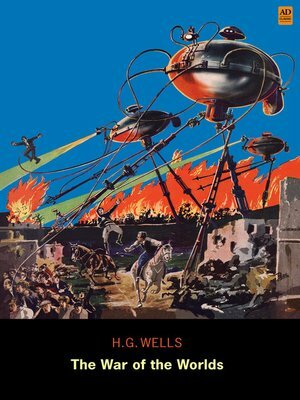 With The War of the Worlds in 1898, Wells established the idea that an advanced civilization could live on Mars, popularising the term 'martian' and the idea that aliens could invade Earth.